There's a tight and surprising link between the ocean's health and ours, says marine biologist Stephen Palumbi. He shows how toxins at the bottom of the ocean food chain find their way into our bodies, with a shocking story of toxic contamination from a Japanese fish market. His work points a way forward for saving the oceans' health -- and humanity's. The amount of mercury near the surface of many of the world’s oceans has tripled as the result of our polluting activities, a new study has found, with potentially damaging implications for marine life as the result of the accumulation of the toxic metal. Mercury is accumulating in the surface layers of the seas faster than in the deep ocean, as we pour the element into the atmosphere and seas from a variety of sources, including mines, coal-fired power plants and sewage. Mercury is toxic to humans and marine life, and accumulates in our bodies over time as we are exposed to sources of it. 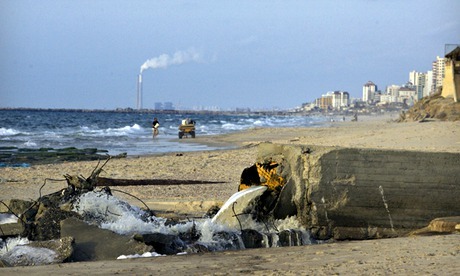 A sewage drain floods into the Mediterranean Sea off the coast of Gaza, in Nuseirat. Since the industrial revolution, we have tripled the mercury content of shallow ocean layers, according to the letter published in the peer-review journal Nature on Thursday. Mercury can be widely dispersed across the globe when it is deposited in water and the air, the authors said, so even parts of the globe remote from industrial sources can quickly suffer elevated levels of the toxic material. 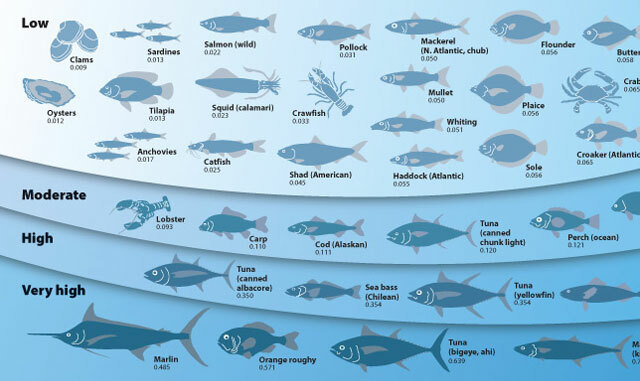 For several years, scientists have warned that pregnant women and small children should limit their consumption of certain fish, including swordfish and king mackerel, because toxic metals including mercury and lead have been accumulating in these species to a degree that made their over-consumption dangerous to human health. Pregnant women are particularly at risk because the metals can accumulate in the growing foetus, and in sufficient quantities can cause serious developmental disorders. The scientists behind Thursday’s letter to Nature, including researchers from the prestigious Woods Hole Oceanographic Institution in the US, stopped short of warning on the dangers to human health from our pouring of mercury into the oceans. Styrofoam models of dead fish placed by Greenpeace environmental activists float near a ship moored in Argentina's most polluted river, the heavy-metal laced, reeking Riachuelo, November 28, 2000. Simon Boxall, lecturer on ocean and Earth science at the University of Southampton, said it was “hard to say” from the research how much damage had already been done to marine life, including edible fish species, and how quickly any such damage would become apparent. “I would not stop eating ocean fish as a result of this,” he said. “But it is a good indicator of how much impact we are having on the marine environment. It is an alarm call for the future. 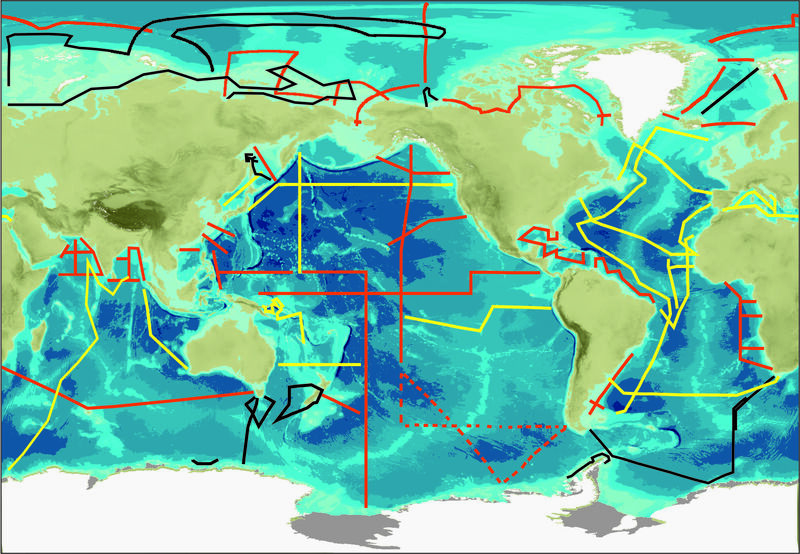 GeoTraces is an international programme which aims to improve the understanding of biogeochemical cycles and large-scale distribution of trace elements and their isotopes in the marine environment. Deep waters in the North Atlantic showed more mercury content than similarly deep waters of the South Atlantic and the Southern and Pacific Oceans, the authors of the report said. Mercury at the surface will disperse to lower layers in time, but this can take decades. However, the process of the damage to marine life becoming apparent can be faster in some areas, such as those closer to the poles, than areas nearer the equator, said Dr Boxall. The north pole and the Arctic circle, because of the winds and ocean currents, is an area where many pollutants released elsewhere across the globe accumulate: top predators such as polar bears have been found to have high levels of toxins in their bodies as a result. These animals are sometimes eaten by indigenous Arctic peoples. “In the Arctic and Antarctic, you will be starting to see some of this now,” he said. Mercury emissions from coal-fired power plants can be reduced by using chemical filters, but while this is increasingly the norm in the rich world many developing countries have yet to catch up. Another source of the metal is from sewage. Developed countries have means to reduce this impact, but again developing countries are less likely to have in place the treatment systems necessary.